Don was a fine young man who attended church and Sunday school at the Church of Christ. He was greatly devoted to his mother and father and long will be remembered as an outstanding sportsman and a true friend. Donald R. Shelton was born on a farm in north central Iowa. The only son of Ray and Pearl Shelton, he was eight years old when the family moved to Webster City along the Boone River in Iowa. A big, raw-boned young man, he was an outstanding threesport athlete at Lincoln High School and captained the basketball team his senior year, receiving all-state honors as a center. He was also named to the all-conference team in football and received honorable mention as a pitcher. During his senior year in 1937, Shelton was invited by the Pittsburgh Pirates to throw to their batters in a pre-game practice in Des Moines. He was not signed by the major league club, however, and pitched during the summer for the local Clave Feeders team as well as the semi-pro club of Williams, Iowa. In the spring of 1938, Shelton had a tryout with the Clinton Owls of the Class B Three-I League at their Greensboro, North Carolina, spring training camp but failed to make the grade and returned to the semi-pro circuit. Shelton pitched for the Goldfield Indians in 1939 and was back for a trial in the minors in 1940, making a couple of appearances for the St. Joseph Autos of the Class C Michigan State League and then the Hopkinsville Hoppers of the Class D Kitty League. In December 1940, Shelton enlisted with Company E of the Iowa National Guard. The company was mobilized on February 27, 1941, and Shelton trained at Camp Claiborne, Louisiana, and Fort Dix in New Jersey. In February 1942, he was with the 34th "Red Bull" Infantry Division bound for Northern Ireland, the first U.S. infantry division to serve in the European Theater. 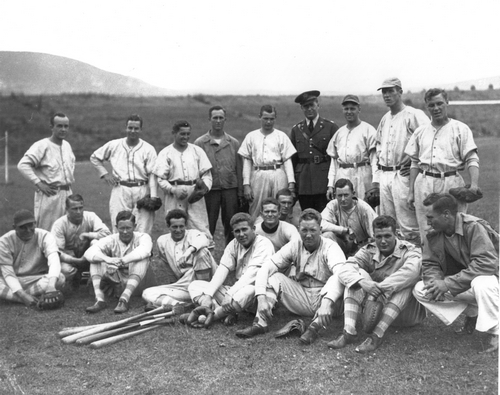 While he was stationed at Castlerock, near Coleraine, informal baseball games between battalions began almost as soon as the troops set up camp. On July 4, 1942, to celebrate Independence Day, the first officially recognized baseball game in Northern Ireland since the First World War took place at Windsor Field, a soccer stadium in Belfast. Shelton was a relief pitcher for the Midwest Giants representing the 34th Infantry Division against the Kentucky Wildcats who represented the 1st Armored Division. In front of an enthusiastic if somewhat bewildered crowd of locals, Shelton hurled shutout ball the last three innings to preserve a 3-2 win for the Midwest Giants. Ball games continued throughout the summer months but gave way to intensive training as the division prepared to take part in Operation Torch, the Allied landings at North Africa. On January 3, 1943, the division faced little opposition from the Vichy French troops during landings at Oran in Algeria, and moved up to the front line in Tunisia the first week in February. 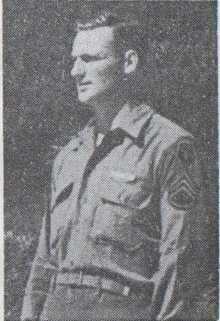 Staff Sergeant Shelton remained in the front line until the end of the Tunisian campaign in May 1943. The 34th Infantry Division then returned to Oran, where Shelton played on a championship basketball team and participated in a number of swimming competitions. 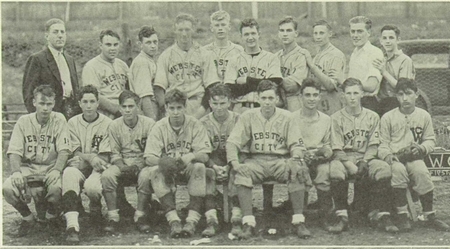 The division baseball team also played two games - both against the 95th General Hospital - losing the first game, 11-0, and winning the second, 11-0. It was the last time Shelton played baseball. The invasion of Italy began in September 1943, and Shelton distinguished himself as a combat infantryman during this time, receiving the bronze star "for exemplary conduct in ground combat against the armed enemy on or about March 25, 1944." He was wounded in the bitter fighting around Lanuvio in early June 1944, and was sent to an Army hospital. While recuperating he had the opportunity to visit the historic city of Rome and also participated in an Army swimming competition before returning to his unit. The Allied advance through Italy was a slow, grueling and costly process. In September 1944, the division was slowly advancing against stiff German opposition in northeast Italy. On September 15, Company E attacked German forces near Terenza in Tuscany. Shelton was killed that day. His parents, who were then living in California, where Ray Shelton had found employment with the Santa Fe Railroad Company, received the shocking news of their son's death two weeks later. Don Shelton was originally buried in Italy. On November 22, 1948, his body was returned to Webster City, Iowa. Military services were held at Foster's Funeral Home and he was buried at Graceland Cemetery. "Don was a fine young man," stated the Webster City Observer in November 1948, "He was greatly devoted to his mother and father and long will be remembered as an outstanding sportsman and a true friend." Thanks to Ketta Lubberstedt at the Kendall Young Library in Webster City and Gus Dermand, former mayor of Webster City, Iowa, for help with this biography. Some of the military information was obtained from the 34th Infantry Division Association. Thanks also to Astrid van Erp, for help with photos for this biography.